1997 he had his first contact with the Fascial Distortion Model in a course with Stephen Typaldos at the Vienna School of Osteopathy. In 1998 he traveled to Bangor Maine for attendance with Dr. Typaldos. In the subsequent years he developed a close collaboration with Dr. Typaldos. 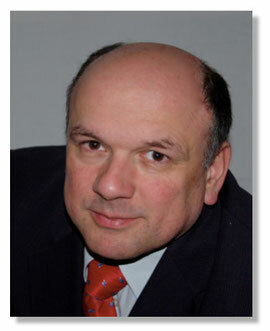 2001 Dr. Georg Harrer became the first FDM Instructor in Europe authorised by Stephen Typaldos. Until 2007 he was the only one. Later he was invited to teach in the U.S., Japan and Africa. Dr. Harrer has written several book chapters on the Fascial Distortion Model. Dr. Georg Harrer's office in Vienna is a treatment and training facility specialized on the Fascial Distortion Model.